I assume Hamilton has been sent off to Wales to stop him applying for every decent seat that comes up again. I’m also assuming either that Hamilton has pictures of Farage in a compromising position, or that Farage would really rather that Gill won this. Then again, assuming Hamilton has half a brain, you wouldn’t have thought he would stand without the support to win. You’re probably right, it’s much harder to be unseated by an anti-sleaze campaign on a PR list so this was a safe place to park Hamilton and keep him away from winnable FPTP seats in England. The system of proportional representation used can come up with some disproportionate results. I have just looked up the figures and see that UKIP got about 260,000 votes (adding constituency and list results) and got 7 AMs. The Lib Dems got 143,000 and got 1 AM. Living in Mid and West Wales region, I have Neil Hamilton as one of my representatives in the Assembly! One thing you can say about Hamilton is that his (alleged) corruption was financed from the private sector and not from the public purse via expenses fraud. Though that certainly doesn’t make it right nor acceptable. Matthew Parris’ book “Chance Witness” has an entertaining few pages on the shameless profiteering of the Hamiltons during the glory days of 80s Tory government. Blame the Labour Party, or at least the failure to have as broad a based campaign for a Welsh Assembly as there was in Scotland. Labour deliberately kept the proportional element in Wales smaller to enhance their chances of winning an overall majority. The need for cross-party support in Scotland ensured more list MSPs (Labour wanted 113 MSPs instead of 129), and thus a more proportional Parliament. On the other hand, you could just blame the Lib Dems for their dismal electoral performance. That would be fair as well. Again, you’re right. Labour were far sighted enough to see that they’d almost always be able to get a majority in Wales, but that the nationalists were much more able to challenge them in Scotland. So their imperative in Scotland was more to try to deny the SNP the chance of a majority rather than to make a Labour one inevitable. The decision to go with 129 seats in Scotland was a compromise to keep the Lib Dems and non-party people on board in the constitutional convention in the 90s. Labour wanted 5 MSPs per list, giving a total of 113, because that would allow them to win an overall majority in a good year. Almost everyone else wanted 9 MSPs per list, giving a total of 145, making it very hard to win an overall majority. Back then, Labour apparently did largely believe that devolution would kill off the SNP. Had the Tories not been so flagrantly hostile to the Scots in the 1980s then their warnings about devolution in the 1990s might have been listened to. And Labour sceptics of devolution, of which there were many in 1979, would not have been browbeaten by their colleagues into accepting that devolution was necessary. The roots of the situation we face today are a toxic mix of Thatcherite arrogance and Blairite incompetence, which it is now impossible to undo. I’m not convinced that forcing the Scots to choose between independence and no devolved Parliament would have ended well for the UK. A very significant chunk of Labour and the Liberals would have gone for independence if they had to decide and there was no prospect of a federal/devolved option. Also, holding this line would have been somewhere between difficult and impossible. “I don’t think it’s impossible to do. I think we have a generation of people who grew up in a post-Thatcherite, post-devolution world. I meant it is impossible to undo the autonomy that has been given to Scotland and perhaps ultimately independence. You’re viewing everything in terms of how good/bad it is for the Tory party….for me that is an irrelevance on an issue of huge constitutional significance such as this. Well, obviously. I think the interesting question is whether there was a way to avoid ending up at the point where the long-term future of the union is endangered. There is this Tory view that comes up periodically that, if only we hadn’t given the Scots their own Parliament, everything would be hunky-dory. It isn’t true, but it’s part of the mythology that, if Scotland does one day secede, it will all be Labour’s fault. The Scots wanted their own parliament, they overwhelmingly voted for one, so that had to be respected. But with hindsight it’s clear that, with the nationalists the main opposition to Labour in Scotland and little chance of Con or LD ever playing that role, when Labour became unpopular and got booted out of government the nationalists would gain power and Scotland would on a one-way street to eventual independence. It is interesting to consider whether a more one-nation government in the 1980s could have gelled Scotland and Wales more into the UK and ensured that support for devolution was minimal. Probably wishful thinking at least in Scotland’s case, where the exploitation of North Sea oil back in the 70s seems to have been the first real turning point. Given that there was already an arguable majority for devolution in Scotland before the Thatcher administration took office, it’s pretty unlikely that a softer Tory government would have made much of a difference. I suppose a Parliament set up in 1979 when the Tories would likely have been the opposition, coupled with a substantially more moderate administration in the 80s might have had a devolved Parliament which was a Labour/Tory fight. I suspect, even then, the SNP would have supplanted the Tories as the opposition fairly quickly. Hamilton got the group leader position. Looks like he has compromising pictures of more than just Farage then. Either that or Gill must be pretty terrible. You wouldn’t imagine that was a good move if UKIP wanted to be taken seriously. Some suggestion that this may mean GIll remaining an MEP and resigning from the Assembly. They have a bit of a muddle as the other three people on the UKIP Wales European list from 2014 have all either left the party in one case or also become members of the Welsh Assembly. Labour are a great deal to blame for the rise in nationalism in Scotland in the 1990s, because they also shamelessly whipped up nationalist and anti-english feeling at that time. That this has come back to bite them severely on the backside – by making them electorally pointless north of the border – is a kind of poetic justice. Poetic justice maybe, but it’s no comfort for those who value the union and don’t want to see the UK broken up. I often think the “Demon Eyes” poster – totally and utterly ridiculed at the time – with its byline “New Labour, New Danger”, actually proved to be the most prophetic political poster of modern times. 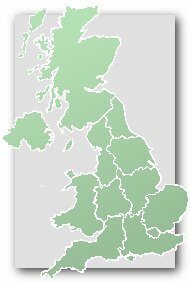 A Scottish Parliament was utterly inevitable by the beginning of the 1990s, and the resurgence of nationalism in the early 90s was caused by a feeling that the Tories would remain in office in perpetuity and that there was no way to avoid or mitigate the effects of Tory rule while remaining in the union. I think it was Salmond who said that Margaret Thatcher was the politician who had done the most for the cause of independence, and there’s an awful lot of truth in that. There was a broad consensus in Scottish politics in the 1980s that devolution was needed because Scotland’s politics had diverged from those of England for a good 30-40 years. To describe that as whipping up anti-English feeling is ridiculous. It’s also worth looking at the graph on the attached article, which charts the level of support for Scottish independence since the late 1970s up to 2012. It should be noted that support for independence rose significantly after 1979 and until the 1990’s when it levelled off. There was a fall in support for independence after the establishment of the Scottish Parliament, and it also fell significantly in 2007-10. It was only after Labour lost power at Westminster that it took off again. I’m too young to remember Neil Hamilton first time around, so I’m giving him the benefit of the doubt. Yes, the movements in support for Independence are mostly traceable to UK events. Perhaps the most surprising fact to be learned from the graph is that in 2010 support for Scottish Independence was the lowest it had been for nearly 30 years. It’s also noticeable that, rather than there being a gradual long term rise, support for Independence has generally been was the region of 35% all the way from the mid 1980s until 2011. How many of the seven UKIP Welsh AMs will still be UKIP AMs by 2021 would be a fun sweepstake. Their past record with groups of elected members – principally MEPs, councillors and the two London AMs they had elected in 2004 – suggests all seven is highly unlikely! Given the start they’ve got off to less than five by Christmas is probably a decent bet. I think there are the more traditional roots of the party that you could compare to the National Party in Australia which are often described as the conservatives in the countryside and the more working class supporters who have always been concerned by the impact of migration but tend to favour more left wing domestic policies. They tend to dislike taxation but some like a living wage, renationalising the railways, opposed to cuts, etc. This is quite common with right wing EU populist parties. Le Pen outlined why we should leave Europe and mentioned state ownership of banking. It quite often happens when a fringe party surges to prominence in the polls, that you get a lot of unsuitable people elected to office. UKIP’s problems in Thanet are probably related to the fact that a good proportion of those elected make rubbish councillors. Sometimes a party can overcome these limitations and establish itself (as the SNP have done, though they have their fair share of dubious characters even at MSP and MP level), and sometimes they will fade away again (as the BNP have done, having been “found out” at a local level in the areas where they were previously strong). Tie in the Welsh Assembly today as Leanne Wood gets Tory and UKIP support for First Minister while Carwyn Jones gets the one Lib Dem onside. 29-29. Carwyn Jones continues as FM until another vote can be held. With the Greens voting out Labour on Norfolk Council and these shenanigans, the ‘Progressive Alliance’ seems more rhetoric than reality. And we thought the idea of having Neil Hamilton back in elected office was unappealing. Now there’s the ugly (albeit remote) prospect of him having the whip hand over a Plaid minority government, or even a role in a coalition. Doubtful. Labour are by far the largest party in the Welsh Assembly and any attempt to hold together a Plaid-Tory-UKIP “coalition of the losers” (with or without the Lib Dem) for any length of time would be doomed to failure. The UKIP AMs can’t even agree with one another, never mind any other parties! Why on earth did Tory & UKIP AMs vote for Leanne Wood as First Minister? Just to spite Carwyn? Not when the other option is more left wing, no. The LDs in Lpool never voted with the Lpool Lab Group to vote down the Lab minority council in the mid ’90s. UKIP voting for a Plaid FM would be almost as mad as the TUV voting for a Sinn Fein FM. Although I realise in politics some go by the enemy’s enemy adage. UKIP and Conservative influence a Plaid Cymru administration led by Leanne Wood. I think there is little chance of that. A coalition of the losers would surely ensure a Labour landslide in 2021. Ultimately I don’t think there is any solution to this situation apart from a Labour minority government. Plaid are a vote short, and there is nobody else to persuade (Kirsty Williams – the only non-Labour AM to vote for Carwyn – has been pretty clear that she won’t be supporting any alternative). If future votes were still tied there could be a fresh election, but I don’t see any appetite for this and it probably wouldn’t be to the benefit of the opposition parties anyway. That isn’t to say Plaid were wrong to hold the vote. It sends a signal to Labour that they can’t just expect the other parties to automatically vote with them, and it may lead them having to make some concessions to Plaid’s programme so that they back down (though Plaid’s hand is not strong, given the lack of an appetite for a new election). In the end that is how minority government works – you do have to be prepared to sit down with your opponents and negotiate. Things would have been very interesting if Labour had been down to 28 with Plaid on 13. In that scenario Plaid may not have pushed the vote (given that they would be too far short to realistically govern alone, and a coalition with the Tories and/or UKIP is a non-starter) but if they had I’m not sure what would have happened. The obvious solution would be to have an odd number of AMs. There is a PO, but their lack of vote is cancelled out by the Deputy PO. So 58 voters and today’s vote was 29-29. The politics of this are a mess from all the opposition parties points of view. Even if they did take power, it would last about six weeks before UKIP split and Labour would be back. OK, so I was wrong. The UKIP split took a day, not six weeks. The last thing UKIP would want is to face a fresh election under Neil Hamilton. Perhaps there are ulterior motives at play here. Nathan Gil trying to show he is the grown-up, responsible one? He’s been joined by Mark Reckless who has said that UKIP’s support relies on getting rid of toll on the Severn bridge. So now Labour and Plaid are going to talk and, presumably, there will be some concessions (Labour won’t want to themselves fall into the trap of appearing reliant on UKIP). If there are concessions of some sort that completely justifies from Plaid’s perspective what they did yesterday. The BBC are saying that Kirsty Williams may be offered a cabinet post. A Lab/PC deal would give a comfortable majority so I am not sure why Labour would offer a post to a LIb Dem unless it was to make the Tories and UKIP appear closer together as the opposition. I doubt Plaid will agree to a formal deal going forward, just something that allows them to back down on the First Minister question. So Kirsty being in government would restore Labour to the position they were in in the last Assembly of having exactly half the votes. I don’t think she’d accept that, however, given recent LD experiences in coalition and the obvious lack of clout she’d have as the sole representative of her party. I too doubt there will be a formal arrangement between Plaid and Labour, certainly not after yesterday. I think it’s probably true that the purpose of a Lib Dem in the cabinet is to draw the Tories and UKIP together.